We all know we have rights, but do we know what these are and where to get advice if these aren’t being upheld? On the 13th October a group of young people aged 16-25, from a range of different backgrounds (including me), spent the majority of the day with Pam from Youth Access completing the rights training course part of the bigger Make Our Rights Reality (MORR) Programme. A programme designed by young people around our basic rights to housing, education, a reasonable standard of living, good health care and protection from abuse and exploitation. See around one million 16 – 24 year olds are left to cope alone with complex rights related problems each year of whom don’t necessarily know how to deal with these problems. Not only do we need to know how to but we want to know how to deal with any issues we face around our rights. This is why Youth Access and JustRights partnered with young people across England to create a manifesto outlining what we’d like to see change. Within our training we went through this manifesto looking at the five key points of change and the wants outlined by fellow young people. You can see the full manifesto here. Now whilst most of you are probably thinking ‘why would you spend your Saturday do training around rights? That must be so boring’. It wasn’t. We played a bunch of interactive games and expanded our knowledge. One of these games involved a set of cards with different scenarios written on each which we had to decide whether they involved the Law or not. Such as a phone contract. Does this involve the law? Yes, you’ve signed a legally binding contract so the law is involved here. We then discussed the difference between Civil and Criminal Law and which of these each card fell into. In this case if you were to break the terms of your phone contract by not paying your phone bill this would come under Civil Law and you could be taken to court in order for the phone company to get the debt you owe them. Although this was a civil case and didn’t involve a prison sentence sometimes civil cases can escalate to criminal cases. For example Not paying your Council Tax bill. This comes under civil law however the failure to pay (without a good reason) is also a criminal offence and you could spend up to three months in Jail. The Law can get quite complex so it’s best to seek advice with any issues you’ve got. We also did a bit of role play around a landlord’s responsibilities and how to deal with any issues you’ve got. Did you know that when renting, your landlord is actually responsible for most of the repairs in your home such as the structure, heating, water and electrical wiring? And this applies to private, council and housing association landlords. So if you’ve got an issue you should report it immediately to your landlord and keep a record of your conversations so that if your issue hasn’t been resolved then you can take this to them and ask what they’re going to do to resolve the issue and always give a deadline. In a few short hours we actually covered a lot and we all left knowing something new. Another thing we looked at was police stop and searches through Y-Stops’s resources. 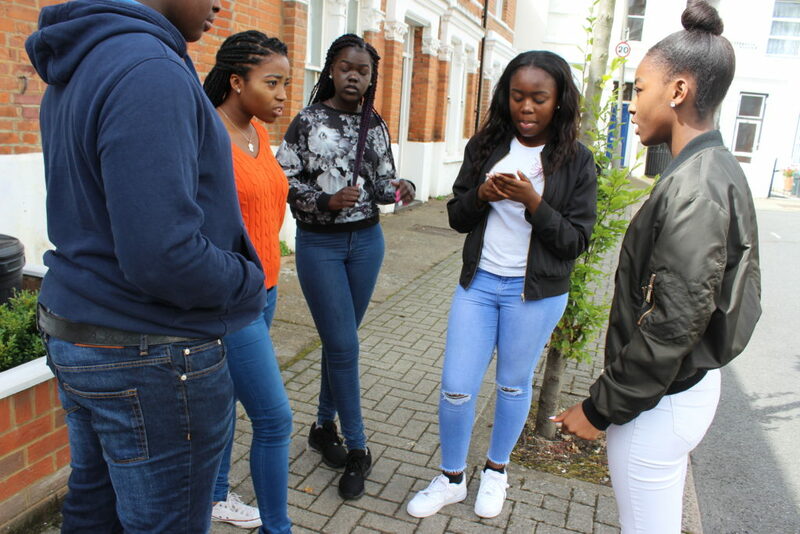 Stop and searches can be a frightening and frustrating experience for young people often because of the suspicion, neglect and prejudice we often face. Y-Stop’s solution is to “focus on really practical information and tips to help you manage what is often a confusing and stressful encounter, ending it as quickly, confidently and smoothly as possible. “ They created the acronym S.E.A.R.C.H which stands for Stay calm, Eye contact, Ask questions, Record, Confidence and Hold to account to help us when put in this situation. So as long as you follow their guidelines you’ll be able to confidently deal with a police stop and search. So in a few short hours we actually covered a lot and we all left knowing something new. The great thing about this training is that now we’ve got the knowledge and resources to pass on and help out other young people who might be struggling with where to go to get advice on their rights. If you’re struggling with a rights issue whether you’ve got a landlord who’s not fulfilling their responsibilities or you need advice around being stopped by the police here’s a list of places where you can get help. 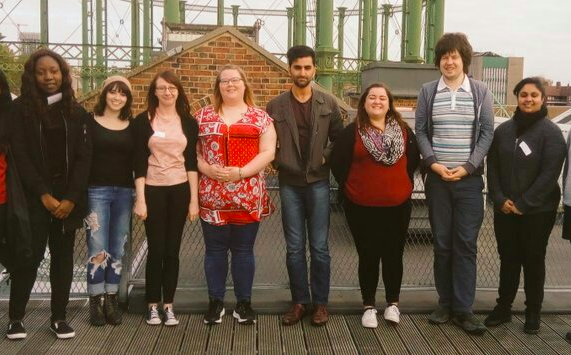 If you would like to organise some RIGHTS training for a group of young people, drop an email to pamela@youthaccess.org.uk to discuss your needs and availability.